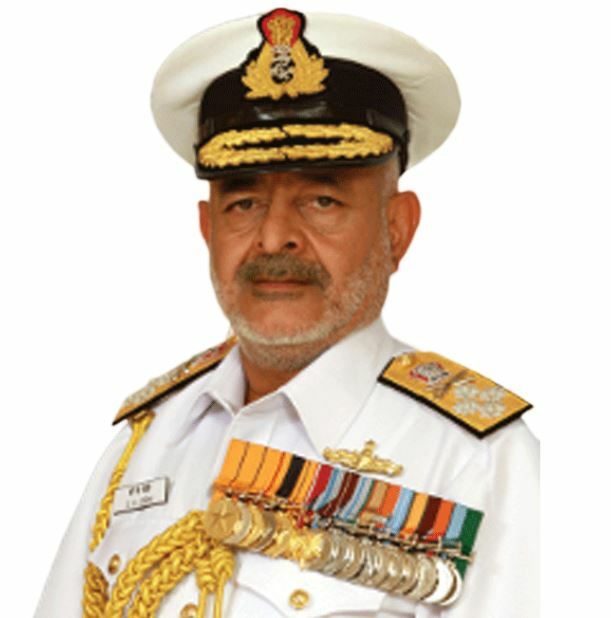 Admiral Devendra Kumar Joshi, PVSM, AVSM, YSM, NM, VSM (Retd.) will be sworn in as the 13th Lt. Governor of A&N Islands tomorrow (Oct 8). The Lt. Governor-designate will arrive here from New Delhi, along with Smti Chitra Joshi (Spouse) and other members of his family at 12.30 pm tomorrow. He will be received by the Chief Secretary, A&N Administration, DGP and other Senior Officers of the Administration. The swearing-in-ceremony will be held at 3.30 pm at Raj Niwas. The Acting Chief Justice of Calcutta High Court, Mr. Justice Rakesh Tiwari will administer the Oath of Office and Oath of Secrecy to the new Lt Governor. The Chief Secretary, Shri Anindo Majumdar will read out the Warrant of Appointment. Later, the Lt. Governor of A&N Islands, Admiral D K Joshi will visit the National Memorial Cellular Jail at 4.30 pm and lay wreath at the Martyr’s Column there. In the evening, the Lt. Governor will hold a meeting with the Chief Secretary, DGP, PCCF and Secretary to LG at Raj Niwas. On Oct 9, 2017, the Lt. Governor will hold an introductory meeting with the Chief Secretary and Senior Officers of the A&N Administration in the conference hall of Raj Niwas. A brief presentation will be made by the Chief Secretary on this occasion. The Lt. Governor is also scheduled to hold a meeting with the CINCAN at 3 pm on Oct 9. Admiral D K Joshi, PVSM, AVSM, YSM, NM, VSM (Retd.) was the 21st Chief of Naval Staff, having assumed office on 31 August 2012. Born on 04 July 1954, in Almora (Uttarakhand), he is a specialist in anti-submarine warfare. He is an alumni of Naval War College (USA), College of Naval Warfare (Mumbai) and National Defence College (New Delhi). He has also been the Senior Instructor (Navy) at Defence Services Staff College (Wellington). Admiral Joshi has served in a variety of command, staff and instructional appointments. His commands at sea include guided missile corvette INS Kuthar, guided missile destroyer INS Ranvir and the aircraft carrier INS Viraat, during which he was awarded Nausena Medal, Vishist Seva Medal and Yudh Seva Medal respectively. Admiral Joshi was also the Defence Advisor in the Indian High Commission at Singapore from 1996 to 1999, with concurrent accreditation to the Philippines. After his elevation to Flag rank, Admiral Joshi commanded the Eastern Fleet, wherein he was awarded Ati Vishisht Seva Medal (AVSM). He has also served in the Integrated Headquarters, as head of all the nodal branches. He served in the Personnel Branch as the Assistant Chief of Personnel (Human Resource Development), and Warship Production and Acquisition as the Assistant Controller of the Aircraft Carrier Programme (ACACP), and thereafter in the Operations Branch both as Assistant Chief of Naval Staff (Information Warfare and Operations) and as the Deputy Chief of Naval Staff. Before taking over as the Flag Officer Commanding-in-Chief Western Naval Command in 2011, he was the Commander-in-Chief of the Andaman and Nicobar Command, the only tri-service integrated command. He was awarded the Param Vishisht Seva Medal during this time. Later, he served as the Chief of Integrated Defence Staff to Chairman, Chiefs of Staff Committee (CISC). Admiral Joshi voluntarily retired on 26 February 2014 having completed less than half of his tenure as CNS. On 08 October 2017, he assumes the appointment of Lt Governor of Andaman and Nicobar Islands. He has also been designated as Vice Chairman, Islands Development Agency, for which orders were issued in June, 2017. He is married to Chitra Joshi and the couple has two daughters. A Delegation of AATO led by its President, Shri M.Vinod participated in a Heritage Walk organised by India Tourism as a part of Paryatan Parv which is observed from 5th October to 25th October by Ministry of Tourism,Government of India. 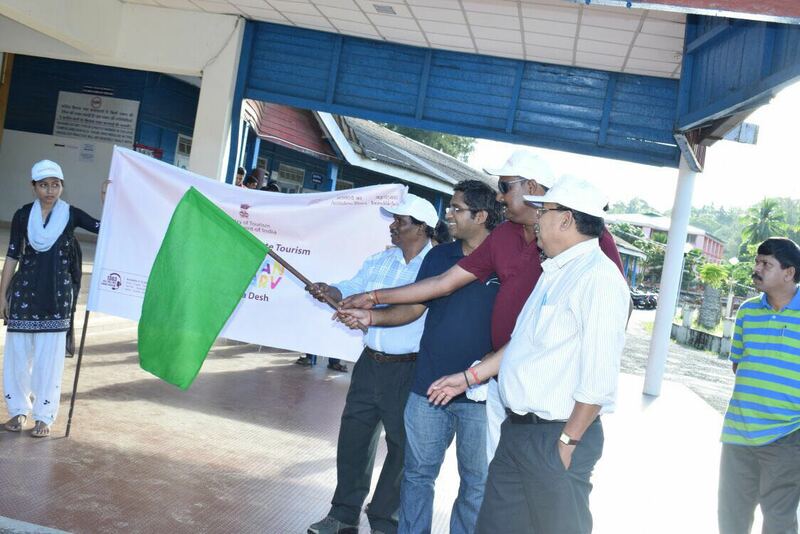 Apart from AATO the students of JNRM,officials of NYK and India Tourism also participated in the Heritage walk . 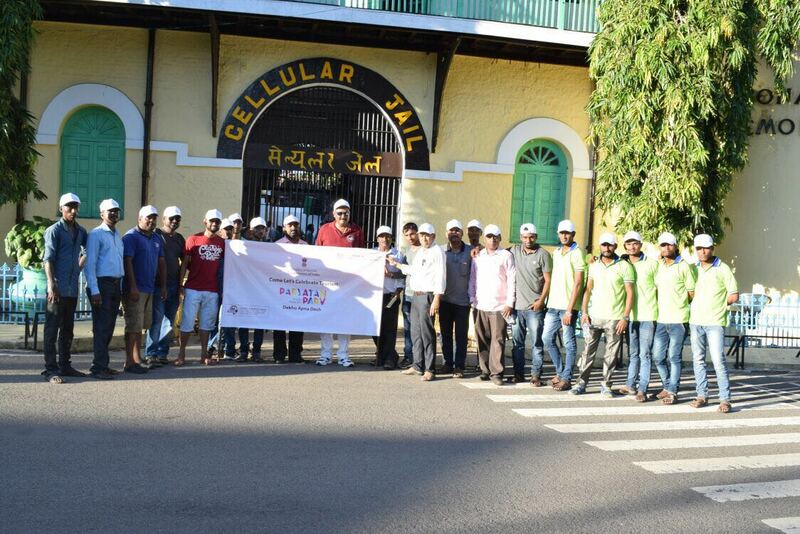 The Walk started from JNRM College and passed through Celllular jail,clock tower and returned back to college.